The exploratory breath study and general initiatives of the Menssana Research Team with Michael Phillips MD, FACP, FRCP Founder & CEO Menssana Research and other staff. In sticking with MEBO RESEARCH'S MISSION, “to initiate research into rare genetic metabolic diseases, particularly those resulting in systemic, difficult to control body malodor and halitosis, including, but not limited to, Trimethylaminuria”, in mid 2012 MEBO partnered with Dr. Michael Phillips, MD, PACP, Professor of Clinical Medicine at New York Medical College, Valhalla, New York, an expert in breath testing, to offer breath testing to our community - to explore biomarkers for body odor and halitosis. MEBO’s primary role was to facilitate testing with patients to make testing available to communities where there was enough demand. There were many hurdles including significant cost suffered by MEBO in shipping the BCA instrument; however, we are happy to say there were 30 participants that traveled to Chicago, Miami, New York, and London. Each participant received his or her testing results shortly after testing, showing over 200+ compounds. We thank each participant for their tireless efforts in the breath testing collection process. We achieved the minimal amount of patients required for a small study of the aggregate test results. As part of the initial agreement, Menssana Research was to evaluate the aggregate test results along with the questionnaires filled out by each participant for our community and provide feedback of any indicators of odorous compounds in the breath. The following is what we received from Dr. Phillips describing the next steps of the study. This will require additional funding from our supporters in the community to continue progress and to utilize the data set we collected so far to continue to track down odor causes. The methods are all described in recent publications at www.menssanaresearch.com. This study may not provide all of the answers we seek, because the number of subjects studied was comparatively small - around 30. But at least the results should point us in the right direction for future studies. We will prepare a proposal for you soon. Not the exact news we had hoped for, however, we are waiting for a cost proposal so we can figure out fundraising efforts in case the community would like to pursue. As soon as we receive the cost proposal, we will make it available to the community. We are also pending receipt of the raw data in the case we pursue independent research. The good news is that we have collaborated with Dr. Phillips and the Menssana team to conduct a Webinar on Friday, July 11, 2014 at 2:00pm EST for the community on Rareconnect to discuss breath testing and general initiatives of the Menssana team. We think this is important to introduce Menssana, understand the technology being used, and learn general initiatives/discoveries of the team. Additionally, it gives the community an opportunity to ask Dr. Phillips any questions. 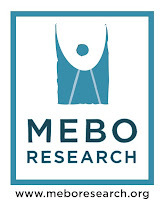 MEBO has placed major efforts in contacting and establishing a relationship with scientists, researchers, doctors, and other experts to establish quality testing and research, so that our community can find answers to systemic types of odors. With the continued patience of the community, MEBO will continue its efforts in maintaining a proactive stance.